The business environment is constantly changing and organisations need the ability to rehearse alternative futures. 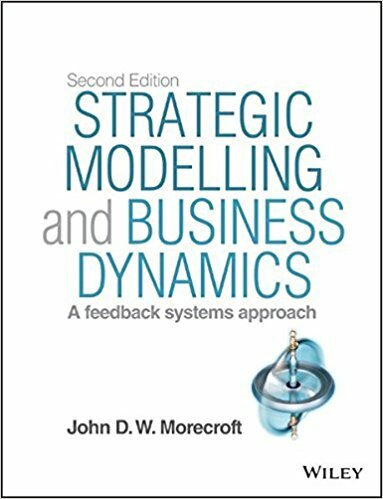 By mimicking the interlocking operations of firms and industries, modelling serves as a ‘dry run’ for testing ideas, anticipating consequences, avoiding strategic pitfalls and improving future performance. The comprehensive Learners’ website features models, microworlds, journal articles and videos. Easy-to-use simulators enable readers to experience dynamic complexity in business and society. Like would-be CEOs, readers can re-design operations and then re-simulate in the quest for well-coordinated strategy and better performance. The simulators include a baffling hotel shower, a start-up low-cost airline, an international radio broadcaster, a diversifying tyre maker, commercial fisheries and the global oil industry. Précédent Que penser de l’Alliance pour l’Industrie du futur ?